Joyce L. Geer was born June 2, 1930 to Josephine Crocker and Johnie Willis Crocker in Bronson, Texas. She went on to her Heavenly Glory on Sunday, February 10, 2019. She was raised by Karoular Virginia Droddy Huggins, her grandmother, Marthy Ann Morgan and Everitte Edward Morgan, her aunt and uncle. She married Joseph Jesse Geer on June 21, 1957 and together they raised Joseph Jesse Geer, Jr., Frances Elaine Geer, Eva Darlene Geer, Ceceilia Renee Geer Leasure and Robert Edward Geer. She is preceded in death by her beloved husband, grandmother, aunt, uncle, cousins, LaPrell Morgan and Pricie Robinson; sons, Jesse Jr. and Robert. 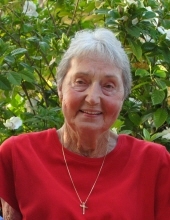 Joyce loved raising her family and participating in school activities. She spent many years acting as room mother and chaperoning band trips. After her children were out of school, she enjoyed volunteering with special needs children at the Vidor Elementary School. She loved gardening and pets of all kinds. She spent many years traveling with her family with her favorite destinations being those with slot machines. She was a 1947 graduate of Hemphill High school and enjoyed their annual class reunions. They met regularly with several other classes in order to have enough people to gossip! She is survived by Eva D. Geer and Pamela K. Moore, C. Renee Leasure and H. David Leasure, Frances E. Geer; grandchildren, Jessica A. Cole, James Banning, Maggie O’Conner, Cathy Hoover; and great grandchildren, Bailey Cole, Mackenzie Cole, Timothy Banning and Natalie Banning. The family is grateful for the loving assistance of Ana Rios, Karen Davenport, Tanya Gregory, Dr. Jeffrey Lee, Courtney Tuck, Jan Schroder, Latoya Franks, Brenda Whitfield, Carolyn Johnson, Darlene Johnson and Luz Olevo. We are grateful for her pallbearers Bob and Jason Poteet, Michael Heuszel, Jim Banning, Dave Leasure and Joe Dugan. A Visitation will be held on February 13, 2019 from 9:00 am until 11:00 am at Miller Funeral Services 7723 Beechnut St. Houston, Texas 77074 with the Funeral Service to follow at 11:00 am. The Graveside Service will follow at Restlawn Memorial Park 2725 N. Main St Vidor, Texas 77669 at 3:00 pm. In lieu of flowers the family invites you to make a donation in Joyce’s honor to the Geer Memorial Scholarship, Lamar Institute of Technology Foundation, P.O. Box 10043, Beaumont, Texas 77710. To send flowers or a remembrance gift to the family of Joyce L. Geer, please visit our Tribute Store. "Email Address" would like to share the life celebration of Joyce L. Geer. Click on the "link" to go to share a favorite memory or leave a condolence message for the family.